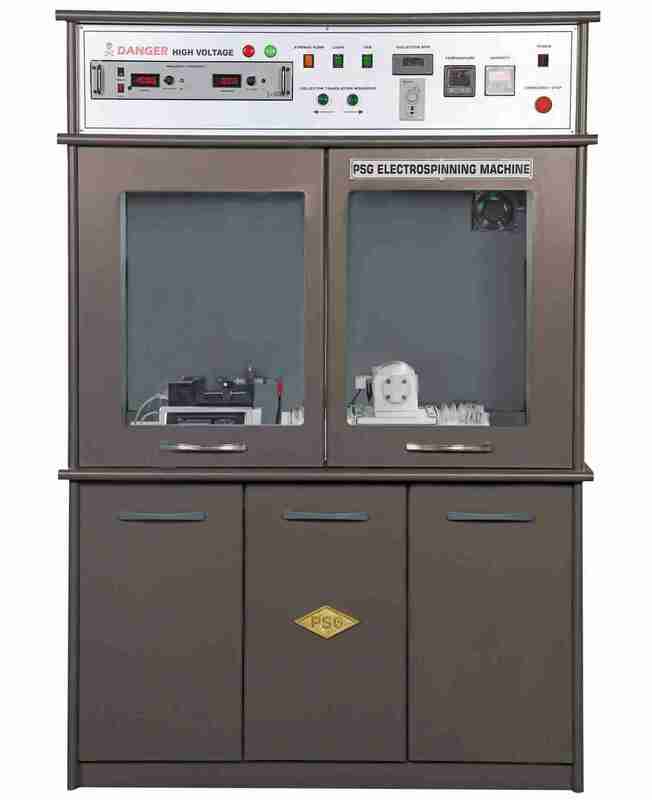 PSG Electrospinning machine is ideally suitable for industries and educational institutions. Nanofibres' diameter and other physical properties can be modified by adjusting the process parameters such as solution concentration, voltage, flow rate and the distance between need leand collector. Thus,this machine would help the researchers and students to learn the nanofiber processing techniques in detail. Customized set up can also be supplied. Electrospinning is a versatile and cost effective process to design and produce nanofibers having diameter mostly ranges from 20 to 200 nm (1 nm = 10-9m). The process can produce nanofibers from a wide variety of natural and synthetic polymers. 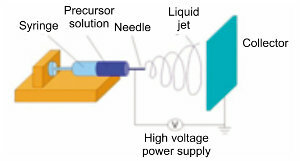 In this process, polymer solution is injected at a constant feed rate through a needle and the droplet coming out of the needle gets charged by a high voltage source. The huge potential difference between the needle and collection unit causes the charged liquid to eject as a jet and gets attracted towards the collector. During this process solvent evaporates from the polymer solution and leave the dried nanofibers on the collection unit. 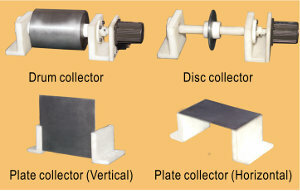 The machine can spin random or oriented nanofibers of any suitable polymer in solution. The same machine can be used for vertical and horizontal type of electrospinning.